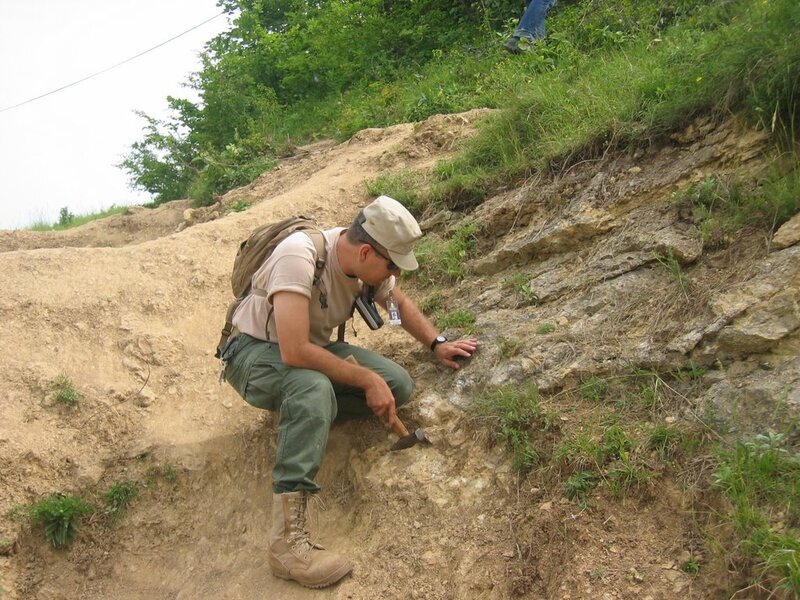 Pyramids of Bosnia: Scientist´s Conclusion "there is something great"
On 23 June, just one day before the scientific conference in Sarajevo the Austrian team accompanied the two geologists Dr.Amer Smailbegovich and Dr.Aly Barakat on their field trip around and up and down Visocica Hill. We were protected by a snake finder and lead by Mr.Zombie with the machete as the terrain is steep, jungle like and dangerous. We turned every stone to investigate its compound, orientation and source of layer. 1.Visocica and Pljescevica Hill clearly show signs of being shaped by man. 2.Nature cannot form Breccia and sandstone into equally sized square blocks, neatly put together to fit four perfectly oriented sides of a pyramid shaped hill. 3.Man obviously shaped the stone blocks, polished them, cut in form and covered the sides of the hills. 4.Purpose, age and culture is unknown. 6.The Breccia shows unknown anomalies, similar to cement or concrete. 7.He found the Breccia quarry from where the stones could have been broken. 8.There was an earthquake appr.3000 ys.ago which destroyed the west side of Visocica hill. The stone layers follow the fault, which is a clear indication that the layers have been already there at the time of the earthquake!